Since finishing the book Celebrated Cases of Judge Dee, translated by Robert Van Gulik, I was anxious to watch movies based on his character. If you’re curious to read my book review and haven’t, here’s a link. As it turns out, there are quite a few adaptations centering around this famous magistrate during the Tang era. TV series featuring his character include Amazing Detective Di Renjie (2004) and its multiple sequels, Young Sherlock (2014), and The Greatness of a Hero (2009). There was also a movie in 2010 starring Andy Lau as Di Renjie (the full name of Detective Dee). 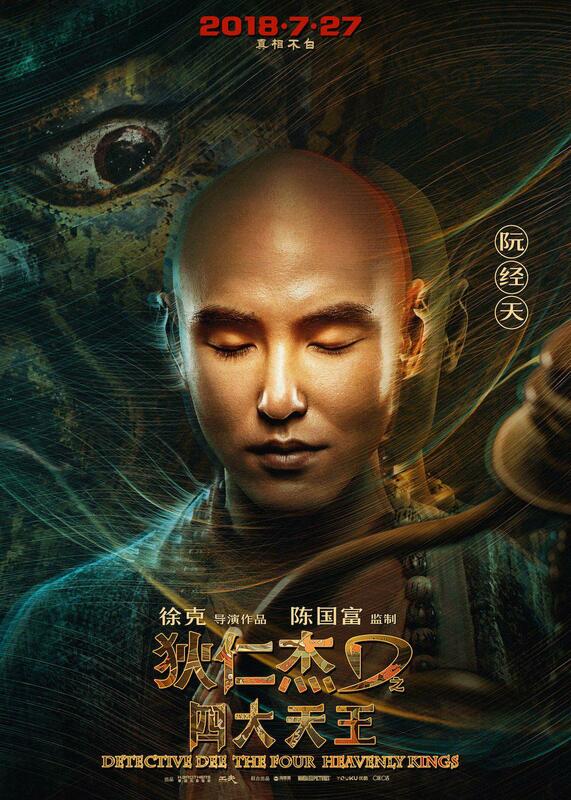 But for purposes of this review, I’m focusing on the two films starring Mark Chao (who happens to be probably my favorite Chinese actor): Young Detective Dee: Rise of the Sea Dragon (2013) and Detective Dee: The Four Heavenly Kings (2018). I want to break down my thoughts on each and then look at the series as a whole. Also, suffice it to say, MAJOR SPOILERS for both these films! This story follows Dee as he arrives in Luoyang, the capital of China during the Tang Dynasty. He has been transferred from a small town to work for the Da Lisi, also known as the Ministry of Justice (pretty much Scotland Yard of ancient China). Meanwhile, the current leader of the ministry, Yuchi (played by actor Feng Shaofeng, who I’m most familiar with from 2011’s Jade Palace, Lock Heart), is dealing with a mysterious attack on an entire imperial fleet by a massive sea dragon. To appease the creature, a beautiful courtesan Yin Ruiji (played by the definitely beautiful Angelababy, who I loved in General and I) is chosen to be sacrificed to it. Doesn’t sound like a super bright idea to me, but none of these people seem like the brightest. Anyway, before she can be sacrificed, Ruiji is attacked by men in masks, and saved through Dee’s efforts as well as the aid of a massive fish creature. As we learn later, this fish creature is actually Yuan Zhen (played by Korean actor Kim Bum, possibly most famous for his role as Yi Jung in Boys Over Flowers), an owner of a tea shop who was poisoned by parasites, turning him into a monster. In the normal world, people with parasites do not turn into fish monsters…just for the record. Anyway, Dee befriends a young doctor by the name of Shaotuo Zhong (played by Lin Gengxin, who I know as the main lead in Princess Agents as well as God of War, Zhao Yun) and together they set out to stop a conspiracy from poisoning the entire royal family of Tang. In the end, it’s discovered that a people known as Dondo are out for revenge against the Tang dynasty, creating twisted science experiments using parasites on Bat Island (what a name) in hopes of poisoning the royal family. That and they also poisoned Yuan Zhen, the fish man (I called him fish man for the duration of the film, so that’s pretty much his name now in my mind), and created the massive sea dragon who took out the fleet of ships at the beginning of the movie. By the end, the Tang dynasty is saved, the dragon is killed in an epic fight, and Dee solves his case! First, I want to talk about Dee himself. I adored him. He was the perfect combination of intelligent as well as good. He was brilliant, calculating one step ahead of most everyone and noticing things no one else did. However, I didn’t feel like other characters, like Yuchi, were made dumber to make him seem more intelligent. He was also human. There is a scene where he falls into the water and almost drowns, only to be saved by Yuchi. He also shows so much kindness, risking his life to see Ruiji and fish man reunited (did I mention they were a thing?). Anyway, I found him to actually be less like Sherlock Holmes and more like Hercule Poirot, exhibiting awareness on an emotional level as well as on an intellectual one (meaning he wasn’t just a brain). In fact, I loved all the characters, and they were perhaps my favorite part of the movie. Like the friendship between Shaotuo and Dee and the competitive comradery between Dee and Yuchi. There were even some humorous moments, like Shaotuo refusing to look at Ruiji because she was too beautiful. The movie did really well in developing the characters while still having so much action. Speaking of action, there are a lot of fight scenes in this movie. If you watched the trailer above, you’ll probably have noticed that. 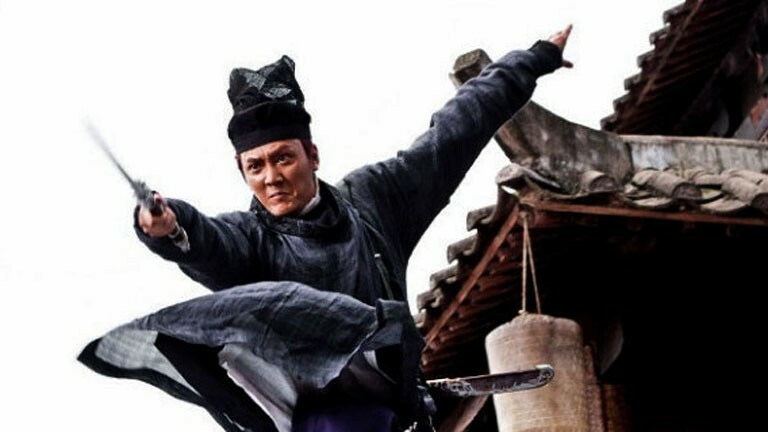 I love watching Chinese fight scenes, with people flying about and fabric twirling. Saying that, I thought this movie had a bit too many fight scenes, all of which lasted a lot longer than was necessary. While some of them were really powerful (like the fight with the sea dragon in the end), some of them just dragged out the plot for no reason. There were also clear elements of mystery as well as fantasy in this movie. You always were wondering what was going on and asking questions, which is good in a mystery. However, the mystery definitely took a back seat to the more fantasy elements, from the fight scenes to the visuals. As for the actual filmography, the graphics were definitely not quite as good as in American films, but the scenes of the cities, the fights scenes, even the costumes, were all absolutely gorgeous. I was a bit disappointed when we finally got to see the sea dragon, however. Through most of the film, all we see are the waves moving to let him pass, but in the end when we finally see him, well, he’s not that impressive. I mean, tell me if you think this looks like a dragon? Anyway, overall, I loved this movie. It was fun to watch and has a happy ending. At the end of the previous film, the emperor gives Dee the “Dragon Taming Mace,” which is imbued with a lot of power. In this movie, the empress decides she must get it back, hiring a group of mages to get it back for her in her quest to gain more power of the empire. However, there is something much darker going on in the kingdom of Tang, as a dark evil cult uses illusions and mind tricks to attempt to bring down the emperor and his dynasty. Dee must fight both, while, of course, trying to stay alive. 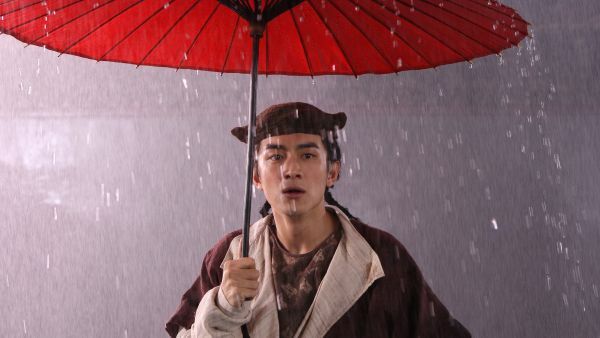 There’s also this weird monk he visits and who ends up saving the day in the end, named Master Yuan Ce (played by Ethan Juan, who I’m most familiar with in Fated to Love You from 2008). Meanwhile, the doctor Shatuo befriends one of the mages hired to steal the mace, named Shui Yue (played by Sandra Ma, from Love Me If You Dare and Oh My General), after saving her life. Now, there’s a lot to unpack in this movie and the plot was definitely not as cohesive as the first one, meandering to scenes that didn’t really add anything to the plot. For example, Dee is suffering from some sort of illness throughout the movie, and yet, besides making him faint a couple times, doesn’t add anything to the movie. Similarly, Master Yuan Ce’s main point in the movie was to come in in the end, riding his yeti (yes, he had a yeti, who was probably my favorite character in the movie), and defeat all the evil. Just like that. I felt the ending was an absolute copout. As it turns out, a group known as the Wu Dee are seeking revenge on the Tang Empire (if it sounds similar to the last movie, that’s because it is). They are powerful sorcerers who actually take over the empress’s mind and force her to go after Dee and the “Dragon Taming Mace.” One of the group of mages she hires is actually working for the Wu Dee (the old hag, as it turns out, who can combust at will, it would seem). We don’t actually learn much about the leader of the Wu Dee, beyond the fact that he was tortured as a child (possibly by the Tang Empire), along with his people. In the end, good rules over bad and that’s that. I had mixed thoughts about this movie, so much more than the previous one. Many of the same characters I loved in the first movie return and every actor did a great job in their part. However, I thought there was just too much going on to make it a truly enjoyable movie. There were multiple side plots that added nothing and the fantasy elements were much more prevalent in this film, whereas in the previous one mystery and fantasy were almost equally present. Besides that, I loved this movie. There are so hilarious comic moments, usually from Shatuo the doctor (who I constantly think of as Watson to Dee’s Sherlock). The fight scenes were great, and not quite as long and pointless as in the first movie. 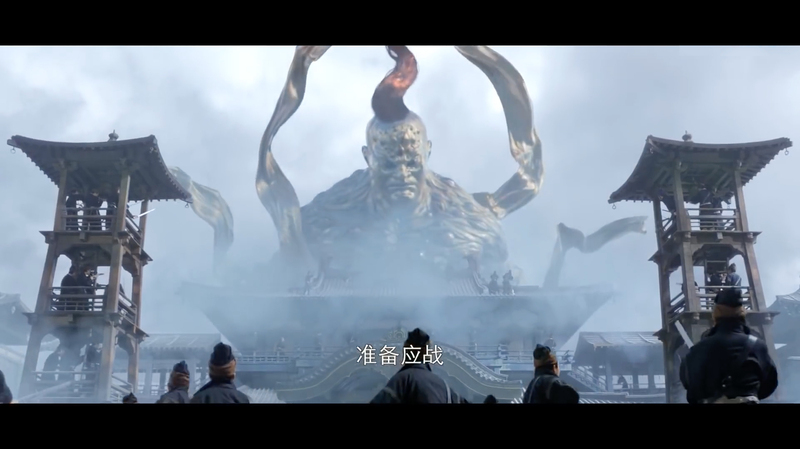 The monster in the ending, who is summoned by the leader of the Wu Dee, is really ugly, comprising of mostly tendrils and massive eyeballs (so creepy)! 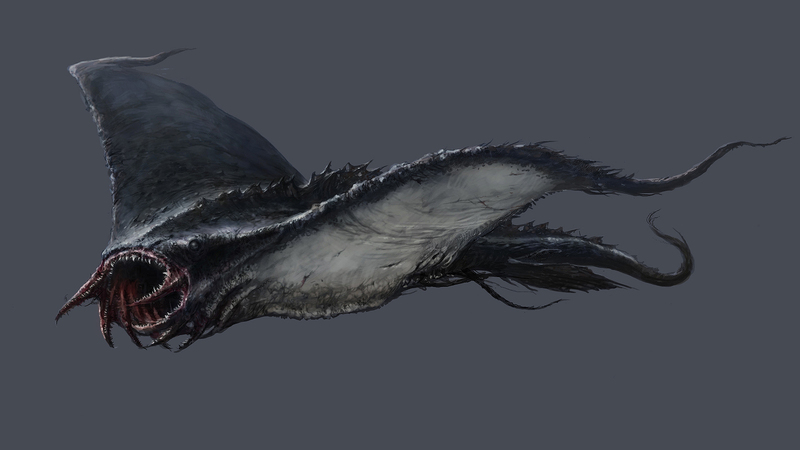 And while I wasn’t a massive fan of the sea dragon from the previous movie, that one was a supermodel compared to the ugliness of this one. This is the best picture I could find for it, but trust me, it was much more terrifying in the movie. So there are my thoughts on the two prequel movies to Mystery of the Phantom Flame from 2010, which is the first Dee movie made (I have yet to see it). Out of the two movies, I did prefer the first one, but there were things to like in both. I happily recommend both of them to watch, as they are fun adventures with signature Chinese filmmaking. Posted on January 21, 2019 January 21, 2019 by Madame WriterPosted in Movie ReviewsTagged asian, china, fantasy, historical, movie review, mystery. Great reviews! I’ll definitely have to find these. (Where did you view them? Netflix?) I thought the first monster was dragon-ish. I got both DVDs from the library, actually. It’s on Amazon and YouTube to rent. I’m not sure about Netflix, since I don’t have it, but you could check. The first monster was certainly better than the first one, though it was more similar to our renditions of dragons then China’s. I agree! I was disappointed with both monsters. But because the rest of the movie was so great, I’m willing to forgive it. I watched the first movie yesterday. And now I’m watching the second one. I like the series! But they were underrated on DouBan in China, 6.1 and 6.5 out of 10 for each. In my opinion in China they are great among those of the same genre. Really? I wonder why they are rated so low in China? I really liked them too! I hope you enjoy the second one as well. I read some comments which say the plot isn’t good enough. Perhaps it’s the weakness of the combination of detective and fantasy? Some complain that characters are flat. Some say the acting is kind of embarrssing. For example, in this series Feng Shaofeng often goggled to express his excitement or anger, which was overreacting to audience. And some rant over the ugly monsters Lol. Lol, maybe. Everyone is entitled to their opinion. And I agree, Feng Shaofeng is not an extremely expressive actor, but I thought it fit in his role. But I suppose detective and fantasy is a strange combination. Though I haven’t watched many detectives or fantasies, I think it’s difficult to combine them well. A lot of information is required to let the audience know the fantasy elements, which makes a movie much more complicated. And keeping a balance between the fantasy world and the real world is difficult. Also, detective needs logic, but fantasy is usually illogic. When they are blending, it’s rare to see an impressive explanation. Sometimes I feel the explaination or the ending is weak because they are attributed to some fantasy elements. I could not agree more! It’s difficult to achieve a balance, but when you do, its amazing!